The view across the game field to the east after last night’s practice. 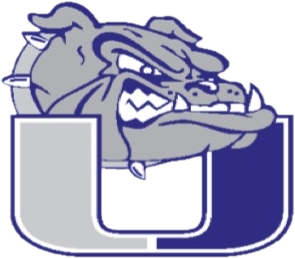 Friday, October 2, 2015 7:00 PM University High School AWAY 7 Sterling High School HOME 47 Game Recap The University Bulldog Football team started Patriot League play with a lose at Sterling. The Bulldogs will next be in action on Friday Oct 9 at home against Eaton. 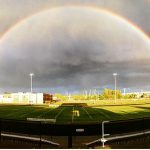 Saturday, September 5, 2015 7:00 PM University High School AWAY 28 Bishop Machebeuf High School HOME 40 Game Recap University lost its season opener to Machebuef by a score of 28 to 30. Next up for the Bulldogs is The Academy on Sept 11 at 7pm at Tom Roche Field.